Reading and narration is the foundation of a Charlotte Mason language arts program. Indeed it is the heart of the entire method itself and is used for nearly all subjects. It is a most powerful way of learning because narration comes to us naturally. Textbooks, quizzes and worksheets, I think we can all agree, are limited in their ability to keep our minds focused and learning. They play little part in helping us to retain knowledge. Narration, however, utilizes a very basic human act: Telling someone what we know. We narrate all the time. We've just read a good book or watched a movie, and we tell a friend about it. We tell what we know to police officers, lawyers and judges. We had a conversation with someone and told someone else about it. All of this is narration. It proves we have knowledge of that book, movie, incident or conversation. It is universally understood that we can only narrate what we have seen or experienced. The same is true for children. Because "children are persons" (Charlotte Mason's #1 principle), they are capable of telling what they know. Children tell us of things they did with their friends or on a sleepover. They easily tell us about the latest episode of their favorite television show or movie. When children can narrate what they have read or had read to them, we know that they paid attention, they grasped the information, and they retained it. And isn't that the best assessment of their knowledge? By the same token, have you ever found your mind wandering while reading a book? You are reading when you suddently realize you don't know what you've just read. In that case, you can't tell someone what you read, can you? No. And that is the proof that you didn't process or retain the information. Narration is a beneficial tool for homeschool parents. Through narration, we can assess whether our child is processing and retaining information. How does it benefit children? Narration encourages children to pay full, focused attention. It helps them organize thoughts. It trains them to express thoughts clearly. Narration, along with copywork and dictation, form the basis for the child's language arts education. Next, we'll be discussing the nuts and bolts of all three of these and how they work together. 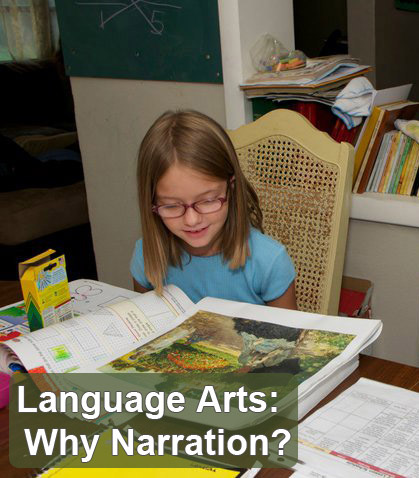 Have you experienced the benefits of using narration in your homeschool? 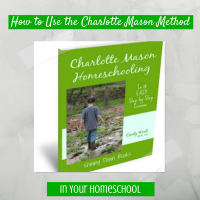 Learn how to use the Charlotte Mason method in your homeschool! In just one semester you can be fully implementing the methods of Charlotte Mason in your homeschool. Learn one step at a time with this ebook by Cindy West. Read my review of Charlotte Mason Homeschooling and get your copy today. Pak job Ads and advertisements for Karachi,Lahore,Quetta,Peshawar,Multan,Hyderabad,Rawalpindi,Islamabad andhttp://allpkjobz.blogspot.com all cities of Pakistan.